CCME has several state-of-the-art CNC lathes with superior speed and horsepower to maximize chip removal from tough materials. 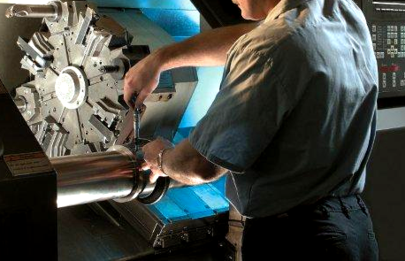 Our CNC centers are built rugged for deep cuts to maximize efficiency. Maximum Chucking Diameter - 39"
Maximum Steady Rest Diameter - 24"